Developing a Magento 2 Commerce custom theme for a well known Dutch sneaker store. In addition to developing the theme I also assist junior and medior theme developers in learning the Magento 2 front-end development and review their code to make sure the project will be delivered according to front-end and Magento 2 best practices. 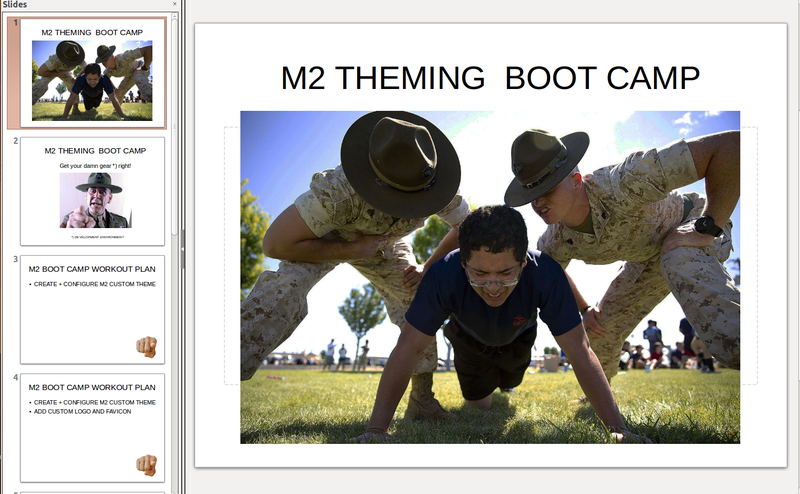 Giving a Magento 2 theming workout to a group of professional front-end developers. 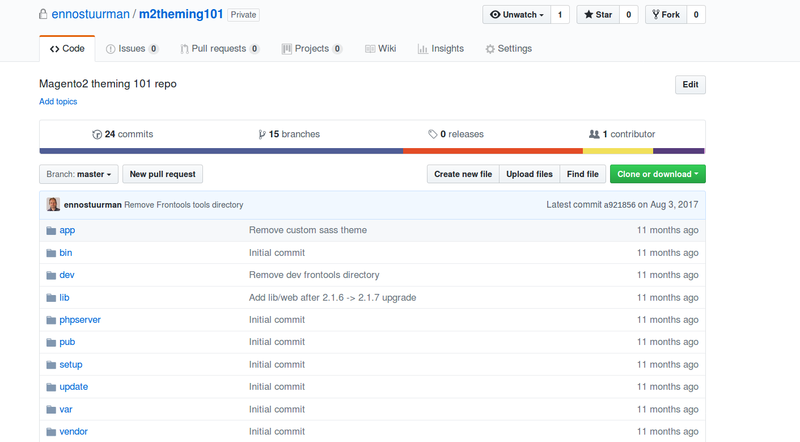 Instead of me doing the talking the developers had to create their own custom Magento 2 theme on a local Magento 2 Docker based development environment. We started in a fresh room, which became quit sweaty during the day ;-) . This kind of class is a great assessment opportunity. Creating a Magento 2 training course for a Magento agency, aimed at traning front-end developers into the Magento 2 theming basics and best practices. Based upon the results of each developer I could advise the companies CTO on each developers Magento 2 readiness, where skills where missing and had to be teached.